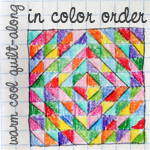 More blocks from my BOM/sampler quilt. From left to right, there is the Lone Starburst, Infinity Loop from the book Shape Workshop for Quilters, 2013 Craftsy BOM from April, 2013 Craftsy BOM from June (partially sewn together). In real life, the neutrals are a lot closer together in value, they dont stand out against each other as much. I have terrible lighting in my office. I am in love with the random neutral look - it makes the quilt sparkle! 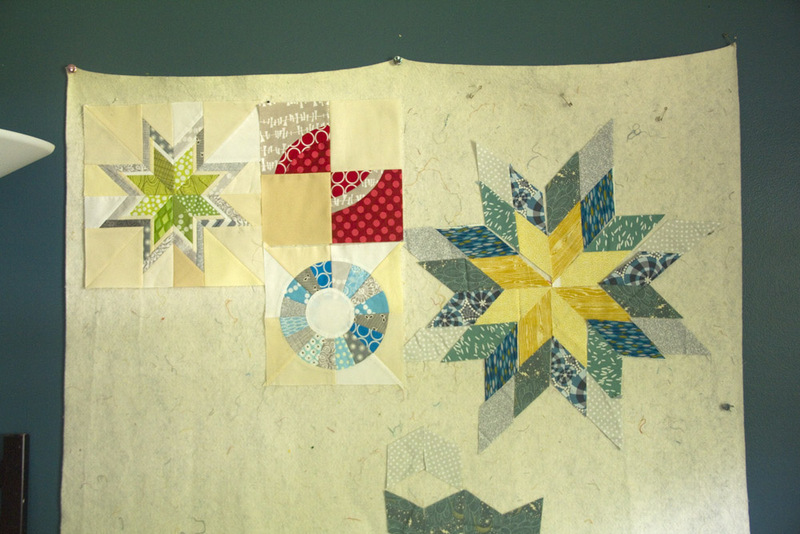 The Lone Starburst block is 12.5, the two smaller ones are 9.5 and the LeMoyne star will be 18.5 when finished.